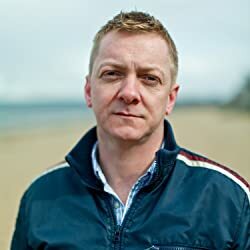 I am mega excited today to be bringing you news of a new novel by Doug Johnstone and and to be EXCLUSIVELY revealing the cover of the book. Huge thanks to Karen at Orenda Books for asking me to do this. I am a big fan of Doug Johnstone’s writing, as you may well know if you follow my blog, so I’m really looking forward to reading this new book. And now for the all important cover reveal! Oh wow! This sounds amazing & that cover, just wow!! Great cover… looking forward to reading it.